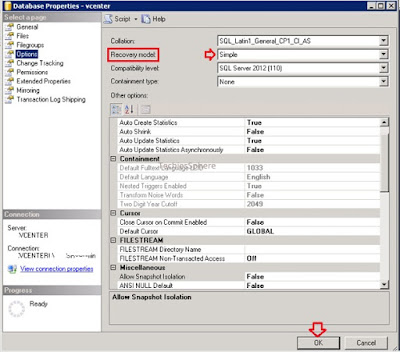 Or, vcenter_log.ldf consuming huge disk space on vCenter server. 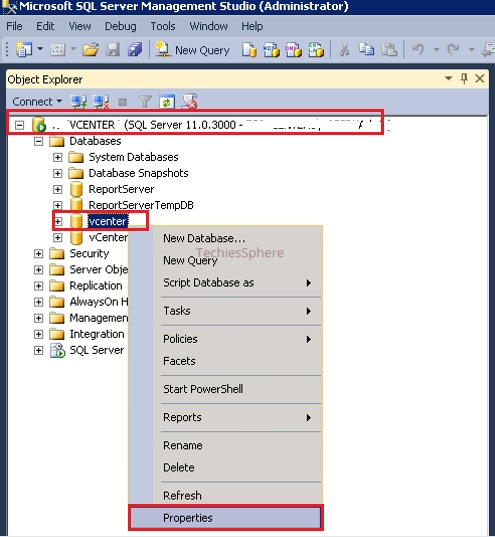 Or, How to shrink vcenter_log.ldf database in vCenter server? Or, How to release log file or .ldf file occupied space in SQL database? 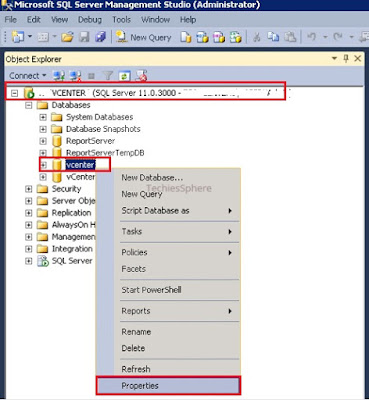 Descriptions: Friends, this is a very common task for across all SQL Databases but in this article we will be exploring it in respect of vCenter server which is running on SQL database. You can shrink logs for any other databases as well by following the same steps but there may be some pros and cons for doing it according to applications for which it is being used and you should understand the risk of doing it. In scenario of vCenter server, I don’t see any impact of shrinking of ldf database in my case. Scenario: Your vCenter server is using SQL database and somehow the vcenter_log.ldf database file has occupied more than 90% of disk space on your server. Now you want to release the space occupied by the log files. 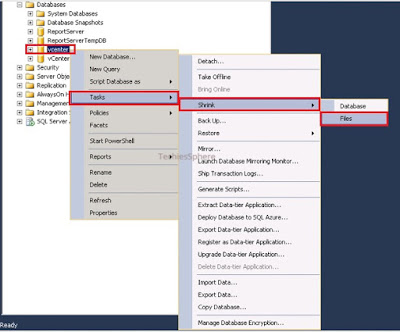 Admin rights on SQL database on which you are going to perform this action. You are done. You can check your log file size, it should be appearing small in size. Also your disk space should be healthy now.